I’ve got three homeschooling girls who are around us 95% of the time while we are DIYing. 98% of the time one of them is in the same room. 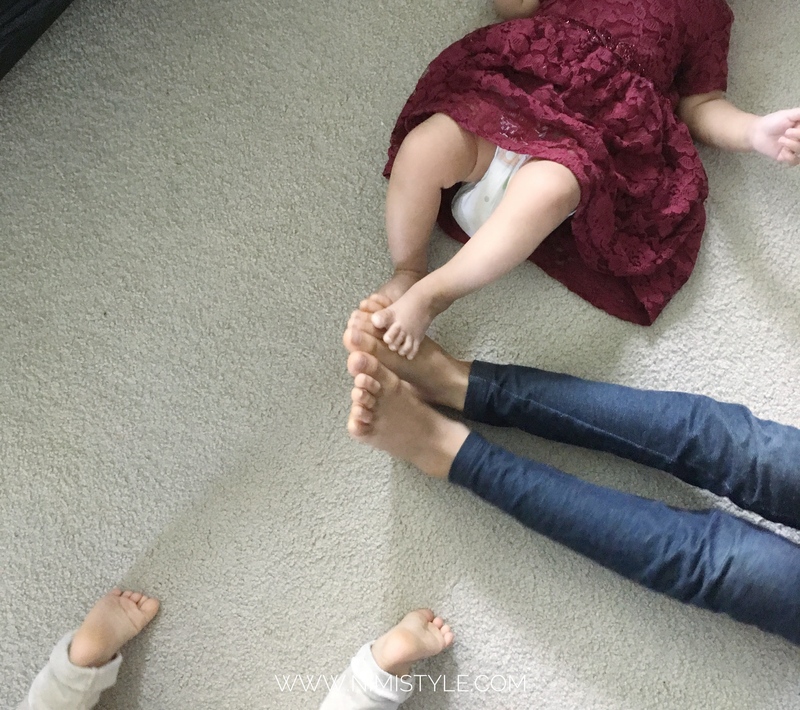 These 5 tips have helped us keep a DIY & parenting balance. When doing home renovations with kids around we try to set small goals and long deadlines. This means our projects take a lot longer then usual but the benefit is neither us nor the kids get stressed. Setting a smaller goal means we reach it quicker and the rest of our time is spent as a family. Even though the project itself will take longer we know it will get done. We try to make use of any kid free time that we get. My eldest goes to Sunday school. That morning we dress and feed all three kids a heavy breakfast. Once my eldest leaves I put the baby down for her hour nap and my middle one busies herself playing. We try to get as much done as we can during that time. We’re never really 100% kid free so their nap and bedtimes are precious DIY hours for us. Again setting small goals that can be reached in less then an hour sans kids so we can finish quickly and get to relax sans kids as well. 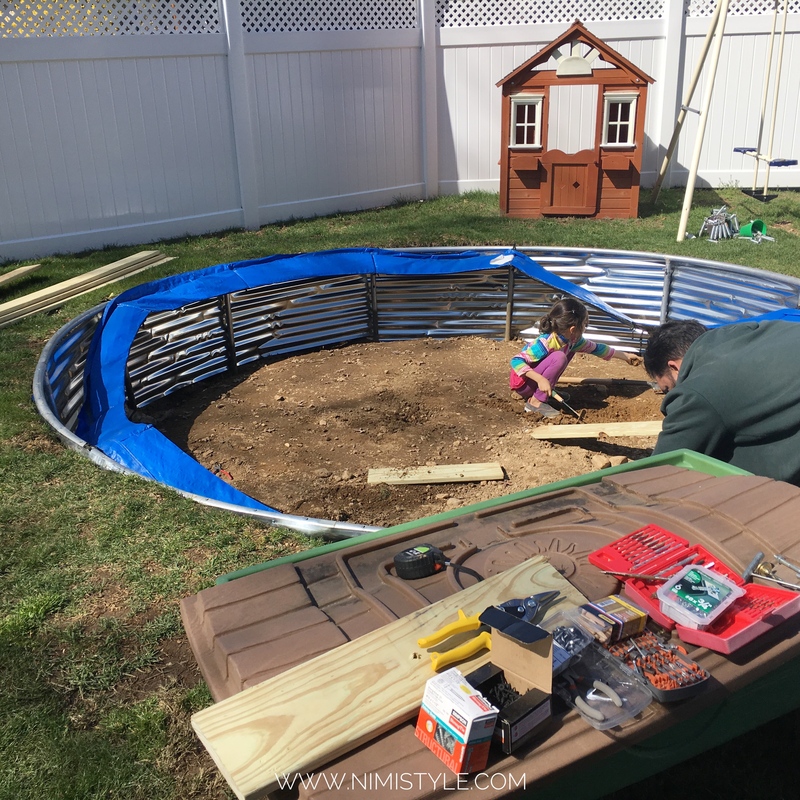 Making sure the kids needs are all met before starting on a project is huge. This helps us in having less interruptions. We wash, dress, feed, and set them up with an activity we know they’ll be busy with for a while. Playdough, blocks, craft kits or a long combined bath are a big hit in our house during the colder seasons but as soon as the weather is warm we are all about the great outdoors! Even though all their needs are met and they are busy there are three of them. And within a few minutes someone will need something, cry about something or want to just show us something. So one of us works while the other is 98% responsible for the kids. I say 98% because life happens and sometimes we both need to be on parent duty. We swap constantly throughout the project depending on who needs to do their DIY part. I spent hours two Saturdays ago literally sitting on a table measuring and drawing out all our plans. Hubby was on keep the kids busy duty. Sunday was my day to keep the kids preoccupied while he took my plans and started building them out. Reality of DIYing with kids around is that you two will barely get to work together. Of course there are those few free moments where both are available and we lend each other a helping hand but we know what our responsibilities are for this project and we try to stick to them. 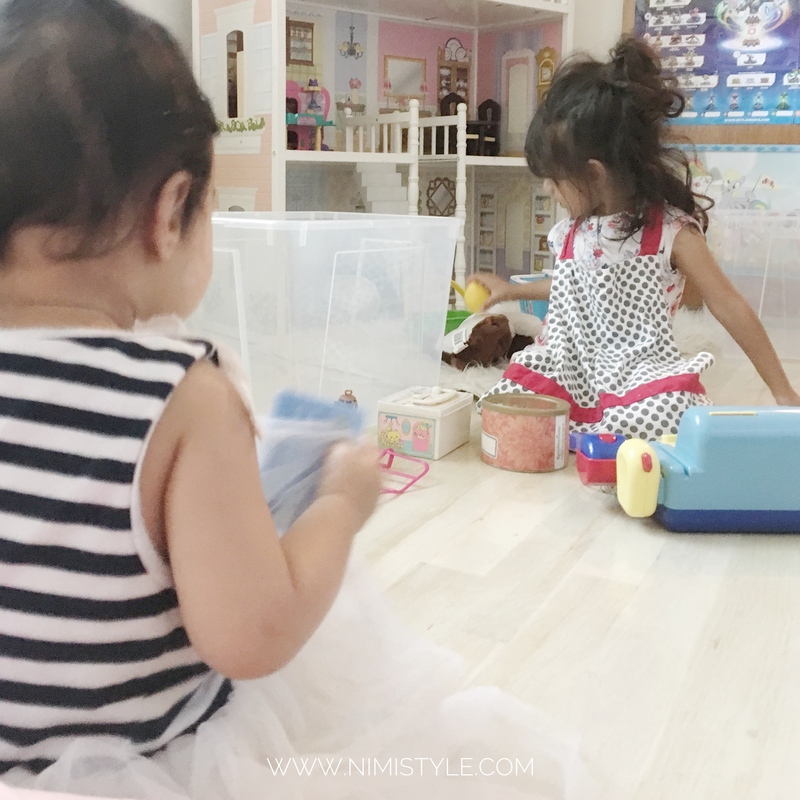 The kids have their own space to play in but of course they want to be where we are so we try to involve them when we can. My eldest knows her tools pretty well and helps her daddy while I’m with the younger two. 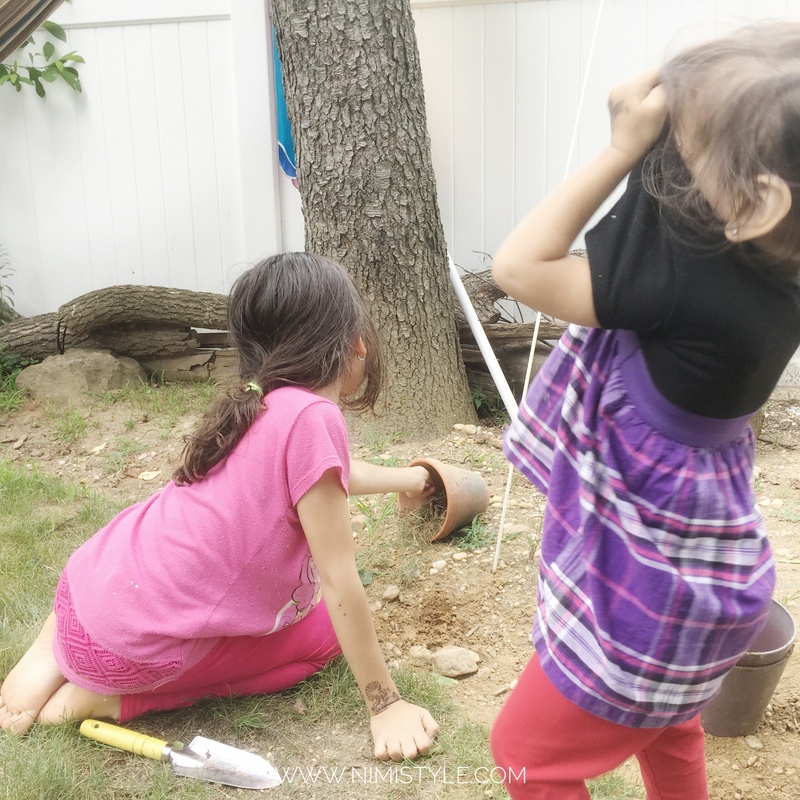 My younger two also want to pitch in so we give them small easy and safe tasks. This of course slows us down which is expected but it keeps everyone happy and sane. Having that small achievable goal makes it okay to work a little slowly. With all this in mind it is totally normal to have a complete fail DIY day. That’s when we close shop and accept today it’s just not meant to be. The kiddos always come before any project and we want to make sure they know that, so a fail DIY day will always be ok.